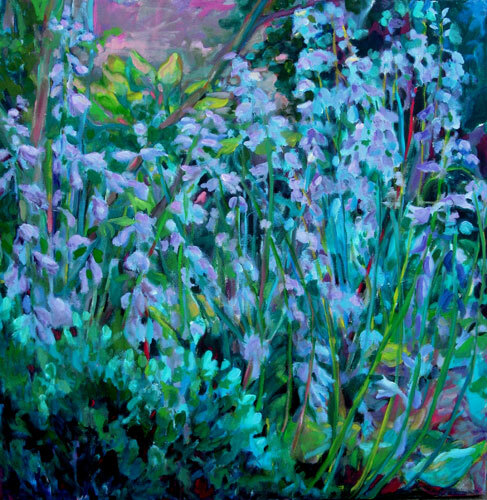 Joyce Anastasia Urbanski, a chemist and an artist, has been a painting for over 40 years with over 15 one person gallery exhibits to her credit. One of James Yarosh Associates Gallery’s most popular artists since 1996, Urbanski's painterly and plein-air oil paintings are both bold and colorfully complicated. 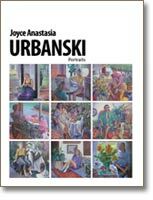 Save the Date: On Saturday, June 1st during afternoon gallery hours, James Yarosh Associates will proudly host a meet and greet reception with Joyce Anastasia Urbanski, one of our clients’ most popular artists to collect since our gallery opening in 1996. 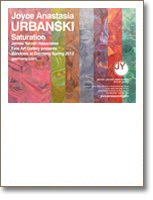 The gallery will also showcase Urbanski’s most recent works. We timed this special event to coincide with iris blooming season, as irises are one of Urbanski’s favorite subjects to paint. Interior designer clients and Urbanski collectors are welcome to contact James Yarosh Associates directly regarding a special, RSVP-only evening event. 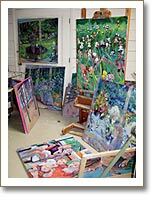 Joyce Anastasia Urbanski has been a painting for over 40 years with over 15 one person gallery exhibits to her credit. One of James Yarosh Associates Gallery’s most popular artists since 1996, Urbanski's painterly and plein-air oil paintings are both bold and colorfully complicated. 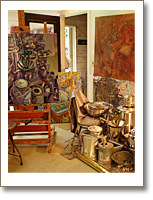 Highlighted here, and offered for the first time for individual sale, are a still life series entitled ‘Saturation’. The collection of eight monochromatic still life portraits represent a thoroughly modern series of work that also includes supporting studies. Windows at Garmany - Spring 2012 - Joyce Anastasia Urbanski - "Saturation"
A tour-de-force collection of Joyce Anastasia Urbanski's figure with still-life paintings are featured as part of our "Windows at Garmany" on-going public art series of one-person shows and exhibits. 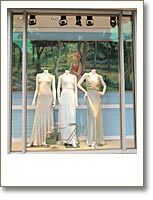 Garmany is a 40,000 square-foot luxury retail clothier on Broad Street in downtown Red Bank, New Jersey. Please contact the James Yarosh Associates Fine Art Gallery directly for prices and art availability. A painterly stripe of endless summer colors backdrop the eight windows of Garmany, a 40,000 square-foot luxury retail clothier on Broad Street in downtown Red Bank, New Jersey. This season, appreciate the paintings of artist Joyce Anastasia Urbanski as part of our on-going public art series of one-person shows and exhibits at Garmany. Urbanski’s show features large-scale original oil paintings, including a six-foot square canvas, one triptych, and two diptychs. Please contact the James Yarosh Associates Fine Art Gallery directly for prices and art availability.